The National Student Clearinghouse Research Center has the numbers and Inside Higher Ed provides the analysis. Almost 38 percent of students who began at a public two-year institution completed a degree in six years, according to a new study by the National Student Clearinghouse Research Center that tracked a cohort of students at public and private two- and four-year colleges and universities from 2011 to 2017. Students who started at private four-year nonprofit institutions had the highest completion rates (76 percent), followed by students at public four-years (64.7 percent), public two-years (37.5 percent) and private four-year for-profits (35.3 percent). 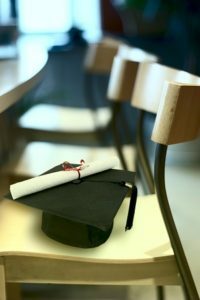 Of public two-year college students who completed, about 70 percent did so at their starting institution, while approximately 30 percent completed at a different institution, according to the study. Almost half of the students who began at a public two-year institution were no longer enrolled after six years, according to the study. About 15 percent were still enrolled. Rates of “stop out” – students who had earned no degree or certificate, and had no enrollment activity during the final year of the study period – were the highest (54.1 percent) at private four-year for-profit institutions, followed by public two-year institutions (47.3 percent). Exclusively full-time public two-year students had the highest proportion of completions and lowest proportion of stop-outs, according to the study. The rate at which students were still enrolled after six years was higher among those with mixed enrollments than their full-time or part-time counterparts. Of all students who started at public two-year institutions, about 15 percent completed at a four-year institution, including those who did so with and without receiving a two-year credential first. This entry was posted in Education and tagged college, degree, four-year institution, private institution, public institution, two-year institution, university by Tom Schuman. Bookmark the permalink.